Oh what’s that Kelly? An overdue update on your TBR challenge? It’s about time. You’re right. It is. But I have been putting this off for one simple reason. I failed my TBR challenge. For those of you that don’t know or have forgotten, here’s a brief reminder. 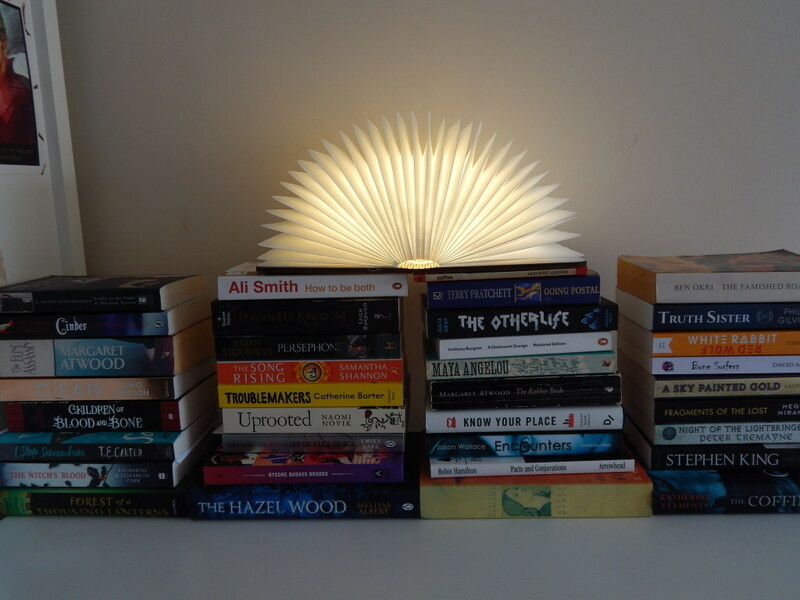 On June 8th 2018, I published this post in which I pledged to read the 36 books (pictured above) left on my TBR by the 31st December 2018. Well, the 31st December has come and gone and I still haven’t managed to complete the challenge. Even though I managed to read 89 books in 2018, I didn’t manage to get to the 36 that I pledged to. The ones in bold are the titles that I managed to get to. I managed to read 18/36 that I intended to meaning that I well and truly failed this challenge. However, I am trying not to beat myself up about it. If you’ve read my post on my ‘resolution’ for 2019, you’ll know that I was very hard on myself in 2018 and I have decided to change that this year! I may have failed my challenge but I also managed to read 18 books that I had been ignoring for too long. That has got to count for something…right? Don’t beat yourself up about it. 18 is better than none.